And what, we hasten to ask anti-GMO activists, about a life-saving GMO crop like Golden Rice? According to the World Health Organization, 250,000 to 500,000 children in the developing world go blind each year due to vitamin A deficiency, half of whom die within a year. 250 million preschool children, mainly in urban slums, suffer from this deficiency. In all, 2-3 million people die from vitamin A deficiency-related diseases every year. To prevent organic farmers from ever using genetically-modified seed – on pain of facing certain de-certification not only of a crop, but of the field where such seed might have been used, and potentially of an entire farm where the indiscretion occurred, for as long as a decade or more. And finally, the organic activists’ most ambitious undertaking: To ban the use of GMOs altogether by all farmers everywhere, regardless of the choices individual farmers might want to make on their own land. Impossible you say? Here’s how the activists are already imposing these anti-scientific, and we believe anti-human, ends. 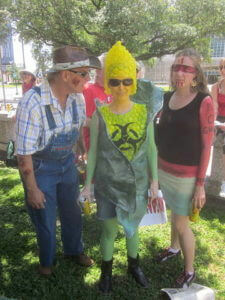 The three of us have been involved in public education on genetically engineered/modified crops and food for decades. Although the science has advanced a great deal over the years, the critics have not changed their position that GM crops and food represent a threat to people and the environment. But, having failed to convince federal, provincial and state authorities, the critics have turned their attention to local governments where they hope politicians might more easily be swayed by public persuasion. In the arena of public opinion, first-hand experience has taught us that fear can be very effective in winning the public over. There is a great deal of pseudo-science available on the Internet designed to generate fear of GMOs. GM crops are produced, in part, with recombinant DNA technology. 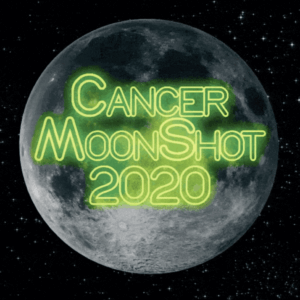 Few in the public, particularly politicians, are trained in this field of science, and so the failure to recognize the difference between the real science and the pseudo-science is to be expected. Indeed, just imagine if Einstein’s theory of relativity was for some strange reason at issue at the local level. Experts would be called upon to help explain things. But this was not the case, for example, when the Richmond City Council and the District of Saanich, both in the Canadian province of British Columbia, voted to ban or express their opposition to GM crops. Robert Wager, an academic with almost three decades of experience in the field of recombinant DNA, first met with Richmond City’s Sustainability Manager in early 2012 as the city first began to research the issue. After a short presentation the question session began. Two hours later, after he had debunked a large number of widely held myths that were presented to council by anti-GM activists, it became clear that city officials had already absorbed a great deal of pseudo-science on GM crops and food. Indeed, documents that surfaced later prove that a group called GE-Free-BC had been petitioning the City of Richmond to ban GM crops since June of 2010, a year and a half prior to Wager being allowed to present. 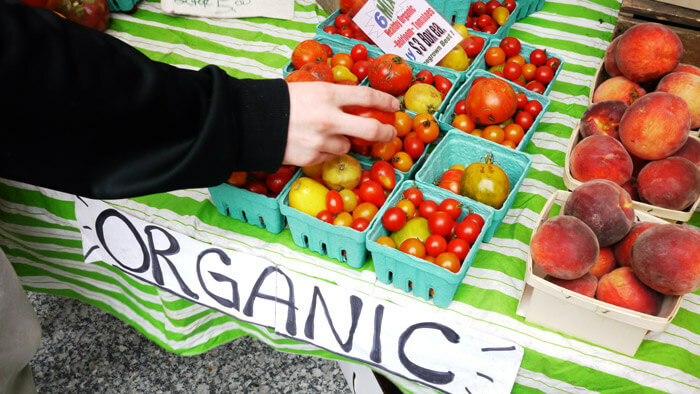 The Richmond council cited two reasons to justify its ban: it stated that the transfer of GM pollen or seed to a neighboring organic field would threaten organic certification; alleged human/animal health issues associated with GM food were the second reason for the ban. Neither of these two reasons cited is supported by history or science. In 19 years of monumental growth of both GM and organic agriculture there has not been one case of decertification of an organic crop caused by trace amounts of GM pollen or seed. A spokesperson for an organic food company admitted as much to council. History clearly demonstrates that GM crops do not represent any risk to organic farmers, except for what might be understood as an activist/bureaucratic risk whereby an organic farmer could face decertification of his crop, his field or even his entire farm as punishment from those who lead the organic industry. You heard right… the anti-GM activists who lead the organic industry are willing to go as far as to inflict hardship on organic farmers just to prove their point and ensure a tight lid is kept on the advancement of GM farming. 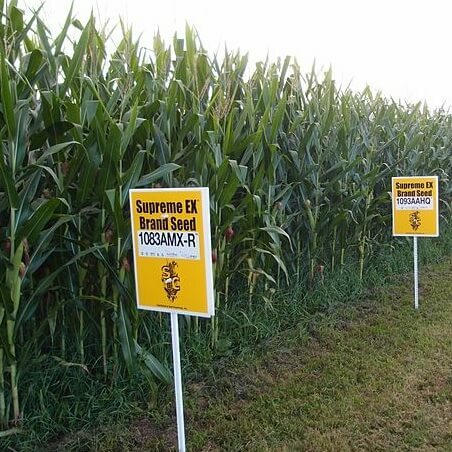 All of the alleged dangers of GM crops and food have been assessed by global experts and dismissed. Everyone from the European Union (EU) to the World Health Organization (WHO), National Academies of Science (NAS), Health Canada to the local Vancouver Coastal Health Authority (VCHA) agree there is no evidence of harm from consuming food made with GM ingredients. And yet, this local council decided it knew better and proceeded full-steam ahead towards an outright ban. Unfortunately, the scientific facts Wager presented had little effect, and fear and a lack of scientific understanding left the door open for the manipulation of the council. One example came from a councilor who claimed: “They put the genetic characteristics of the chemical into the food and then it goes into us!” But there is no such thing as “genetic characteristics” of chemicals. And yet, the two hundred people holding up anti-GMO signs during the meeting cheered the comment. The Richmond council subsequently decided to move forward with the ban at the next public meeting, a definite case of public policy based on fear from anti-GMO pseudo-science. The debate played out in a different but also discouraging, way in Saanich. Public documents show that one particular council member, the chair of Healthy Saanich Advisory Committee (HSAC), was intent on getting a “non-support” resolution passed regardless of the science. The HSAC minutes of May 2011 call for advice on GMOs from The Peninsula Agricultural Commission (PAC). As the issue was coming to a head, Wager learned that the PAC had been asked to develop an opinion on a proposed GM crop ban for Saanich (subsequently downgraded to a vote of non-support for GM crops). Naturally he contacted them immediately. Having dozens of GM-specific publications and extensive speaking experience on GM crops and food under his belt, and being a resident of the region, Wager offered to come before PAC at no charge. But he was turned down because the members of this commission claimed to already have enough experts lined up. One of these “experts” has zero publications in the field of GM crop technology; not surprisingly this “expert” recommended a ban of GM crops. 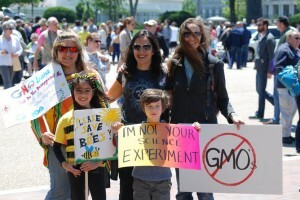 The other was a local organic farmer with a long history of anti-GMO activity. Saanich council clearly did not seek balanced expert opinion on GM crop technology. The minutes for the April 2012 PAC meeting show that there was no discussion or debate about whether to impose a ban; the issue had already been decided before the council meeting. “The Healthy Saanich Committee’s [HSAC] consensus was to support the concept of a ban on GE-GMO food crops in Saanich,” the minutes read. It was noted that this type of ban would be difficult to enforce [actually impossible, as it is under federal jurisdiction]. It was therefore decided to obtain information from other municipalities to see how a local ban could be achieved. The subsequent “debate” by the HSAC was clearly a sham, as the committee members had already decided their position on GMOs. HSAC did go through the motions of holding a special meeting for public input on the GM crop issue in September. Wager again attended at his own expense. After sitting for over an hour listening to one speaker after another present fear stories, he was given the opportunity to present the real science to HSAC. But minutes into his presentation, the chair cut him off. Wager would later learn that the HSAC consensus had already been reached six months prior to this meeting—and the public meeting was an empty exercise. Between that September HSAC meeting and the Saanich District Council meeting in November, when a final decision was scheduled to be made, Wager was assured he would get another opportunity to come before council. But one day before the District meeting, Wager was informed he would not be permitted to make any presentation. After discussing this turn of events with Saanich Legislative Services (a non-political body that’s supposed to help citizens who live in Saanich), Wager discovered a possible avenue to provide further input. He respectfully requested that council refer the agenda item for the non-support declaration for GMOs back to Committee for further consideration at their next meeting. But the council rejected that request. Instead, the mayor himself weighed in, saying the council had to trust the HSAC in coming to its recommendation. To no one’s surprise, Saanich Council then voted to move ahead with the non-support declaration for GM crops, precisely as recommended by HSAC. In Wager’s last correspondence with the HSAC in Saanich, the Chair admitted, “The committee felt strongly that the information you and others shared clearly demonstrated the inconsistent and contradictory opinions and findings with respect to GMOs.” And yet, the fact remains that this committee embraced pseudo-science-driven fear. The process cannot, by any stretch of the imagination, be considered science-based, much less democratic. And remember, Wager lives, votes, and pays taxes in this region! And yet he was purposely ignored. The contrast between the over-regulation of genetically modified foods and the lax regulation of organic foods is striking. At the same time as a concerted attack against GMOs is being waged at the local level, the organic industry in North America remains largely unregulated, running almost entirely on record-keeping and record-checking. Indeed, by the United States Department of Agriculture’s own admittance, “The number of results reported to the NOP [National Organic Program] in 2011 represents a sampling rate of less than 1 percent of certified operations.” Things go rapidly downhill from there because it turns out, “The majority of results reported to the NOP in 2011 were received from certifying agents which are headquartered outside of the United States, where periodic residue testing is a requirement under international organic standards (e.g., the EU). In Canada meanwhile – one of America’s largest trading partners in organic products – there is no testing whatsoever to ensure organic products are genuine. Consider the news just over the past week. The Canadian Food Inspection Agency and Costco Wholesale Canada announced that Costco recalled its Kirkland Signature brand Organic Lean Ground Beef likely contaminated by E. coli. And the largest processor of organic peanut butter shuttered its facilities over the weekend, the victim of a Salmonella outbreak that sickened 41 people in 20 states in 2012. These are not isolated stories. Organic food is more dangerous than conventionally grown produce because organic farmers use animal manure as the major source of fertilizer for their food crops. Animal manure is the biggest reservoir of these nasty bacteria that are afflicting and killing so many people. Because of lack oversight, the organic industry has been plagued by contamination problems worldwide. When dealing with the potential dangers of un-composted feces, mere record-keeping and record-checking cannot possibly be expected to keep people safe. In one notorious recent case involving the finding of a novel strain of O104:H4 bacteria linked to an organic farm in Lower Saxony in Germany in 2011, 3,950 people were affected and 53 died. Said simply. 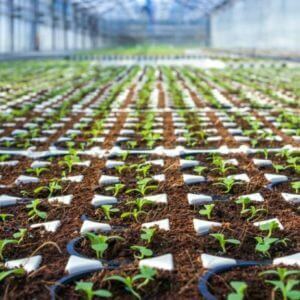 While manure used in organic farms can be deadly, the cumulative conclusion after more than 2000 studies of genetically modified foods is that GMOs pose no serious health or safety concerns. There is still no such thing as organic testing, neither in the field nor after harvest nor in any certified-organic processing facilities—and, most disturbingly, not on incoming shipments of certified-organic product from countries like China, Mexico or Argentina. These foreign shipments account for the majority of the certified-organic food being sold in North American grocery stores. Organic certification on this continent is all based on paperwork with no recourse to science. 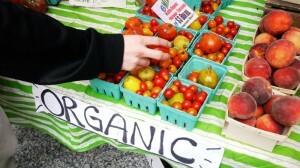 As such, long before one considers the remote possibility that an organic crop might become “contaminated” (to the level of 0.01 percent or less by pollen drifting from a neighboring GMO field), there is a far more pressing consideration: Are prohibited synthetic fertilizers or pesticides being used fraudulently on organic farms? Aren’t these the things that the organic industry once claimed to eliminate or at least drastically-reduce our exposure to? Sadly, such a commonsensical consideration, alongside the much more troubling possibility that lethal pathogens might be entering the organic food chain through the improper composting of animal and plant waste, does not warrant concern from those who lead the organic industry. Shouldn’t a luxury food item be safer, or at least as safe, as its competition? Shouldn’t science be used to prove its worth? Instead, organic food turns out to barely exceed conventional food in purity and not at all in the nutritional department—no wonder, given the laxity of the organic certification system. When it comes right down to it there nothing in GM technology that should offend organic growers. It is, in fact, an entirely “organic” procedure, and a very precise one at that. Organic farmers seem content to use seeds that are produced with nuclear and chemical mutagenesis which are very imprecise and hardly organic. They also use many inorganic substances such as copper, phosphorous and potassium with no apparent contradiction. And which is better—the broadcast spraying by organic farmers of a Bacillus thuringiensis (or Bt) microbial pesticide over entire fields with attendant drift into non-target areas, or the selective targeting of only those pests that actually attack the crop through the use of Bt corn and Bt cotton? In the final analysis organic farming and GM technology would make a powerful team to improve our food production and nutrition on a large number of fronts. There is no reason why GM seeds cannot be grown organically. The benefits to organic farmers would soon become apparent and the real farmers in both camps could slough off the misinformation and fear mongering of the urban-based anti-GM activists. That’s the real promise of sustainability. We conclude where we began, with the candid admission by one of the world’s most highly respected opponents to the science of genetic engineering that he was wrong. Mark Lynas stands in contrast to devout anti-GMO activists like Arpad Pusztai who remain steadfast in their baseless opposition to this new and promising field of science. Most damning is the fact that even with all the billions of dollars floating around in the organic industry, Pustzai‘s simple and inexpensive experiment has never been repeated. Is this the best the anti-GMO organic movement can come up with as a reason to stand idly by and allow 2 million people or more to continue dying from vitamin A deficiency every year? Apparently the answer is yes. And we find that deplorable on all levels. Robert Wager is a teacher in the Biology Department at Vancouver Island University. With almost three decades of experience in the field of recombinant DNA, he writes and speaks in defense of modern agriculture whenever the opportunity arises. A co-founder and 15-year leader of Greenpeace, Dr. Patrick Moore is now an independent ecologist and activist based in Vancouver Canada. He is the author of Confessions of a Greenpeace Dropout: The Making of a Sensible Environmentalist and today leads the Allow Golden Rice Now! campaign.